After the Long Silence offers a ground-breaking, meticulously researched criticism of Brazilian contemporary performance created by its post-dictatorship generation, whose work expresses the consequences of decades of state-imposed censorship. By offering an in-depth examination of key artists and their works, Cláudia Tatinge Nascimento highlights Brazil’s political trajectory while never allowing the weight of historical events to offset key aesthetic trends. Brazilian theater artists born around the time of the nation’s 1964 military coup experienced the oppressive rule of dictatorship throughout　their formative years, but came of age as Brazil re-entered democracy some two decades later. This book showcases how the post-dictatorship generation developed performances that mapped the uncharted territories of Brazil’s political trauma with new dramaturgies, site-specific and street productions, and aesthetic experimentation. The author’s in-depth research into a wide array of archival materials and publications in both Portuguese and English demonstrates how the artistic practices of significant post-dictatorship artists such as Cia. dos Atores, Teatro da Vertigem, Grupo Galpão, Os Fofos Encenam, and Newton Moreno were driven by critical thinking and a postcolonial sentiment, proving symptomatic of the nation’s shift from an ethos of half-truth telling into a transitional justice that fell short in affirming citizenship. 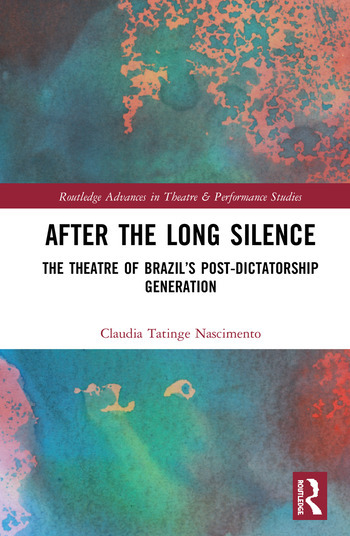 Ideal for scholars of the intersection of theatre and politics, After the Long Silence: The Theater of Brazil’s Post-Dictatorship Generation offers insight into the function of theater in times of political turmoil and artmaking practices that emerge in response to oppressive regimes. Cláudia Tatinge Nascimento is an artist-scholar with an interest in experimental and Brazilian performance. She is a professor and chair of the Theater and Dance Department at Macalester College.